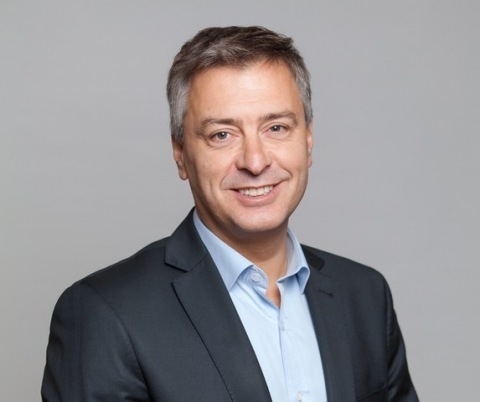 Aryballe Technologies (www.aryballe-technologies.com), the pioneer in digital olfaction, has appointed Dr Jean-Christophe Simon as its Chairman of the Board. He will bring to Aryballe his vision about transformation of food tech and cosmetic industries. Aryballe’s bio-inspired “digital nose” NeOseTM Pro, mimicking the human olfactory receptors that recognize smells, uses sensors to detect, measure and identify several hundreds of odors improving quality control, safety, and sensory evaluation important to multiple industries. Dr Simon will drive Aryballe’s industry expansion as the demand and use applications for this smart sensory technology continues to increase. With more than 25 years in R&D and innovation management, Dr Simon joins Aryballe with a dynamic and proven successful career in the innovation of consumer products for the food, home appliances and cosmetic industries. Most recently, Dr Simon, since his appointment in 2010, served as the Chief Innovation Officer and Senior Vice-President of the Group Research at Groupe SEB. Dr Simon started his career in public research. He then joined the cosmetic company L’Oréal before moving to Japan and Germany to bring his experience to the Kao group. He has held the position of president and representative director of the Nikon and Essilor International Joint Research Center. “Jean-Christophe is uniquely suited to serve as Chairman and will play a vital role in capitalizing Aryballe’s recent accomplishments. He has the proven track record and leadership experience to make great strides as we innovate for the future of digital olfaction bringing smell to the forefront of smart technology,” added Tristan Rousselle, Aryballe’s Deputy CEO. Aryballe, a startup based in Grenoble, France, develops and manufactures bio-inspired odor sensors enabling groundbreaking applications in the food, cosmetics and automotive industries. Founded in 2014, it released its first product, the digital nose NeOseTM Pro in early 2018. Fast, portable and sensitive to hundreds of odors, NeOseTM Pro is used for quality control in the cosmetic industry, new flavors development in the Food & Beverage industry, or materials quality monitoring in the automotive industry.